A 74-year-old man has died after being hit by a car in Hampshire. 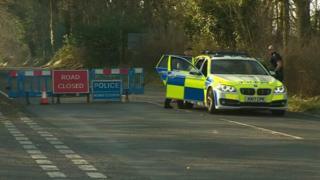 He was struck by a Red Corsa at about 12:30 GMT on Saturday on Alresford Road, near Magdalen Hill Cemetery, in Winchester. The man, who lived locally, was pronounced dead at the scene. His next of kin have been informed and are being supported by specialist officers, Hampshire Constabulary said. It appealed for witnesses or people with dash cam footage to come forward.